It is thought that there are over 100,000 distinct varieties of rice around the world, most of which fall into one of two types. 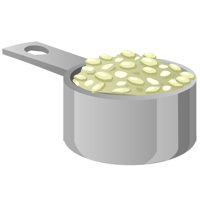 Indica rices are typically have a long grain and are the type most people are familiar with. Japonicarices have a shorter grain, and are commonly found in risottos, paella and rice puddings. The world of Glitch has but a single kind of rice. It’s readily available from Produce Vendors, or if you prefer, you can grow your own from seed. All the Glitch recipes featuring rice are savoury dishes, which leads me to believe that Glitchian rice is of the indica, or long-grained type. If it were a short-grained variety, they would surely have discovered the delights of one the world’s greatest comfort foods: rice pudding. So, the absence of any kind of rice pudding, or indeed risotto does strongly suggest long-grain rather than short.The most basic rice dish of all, is simple boiled rice, or as the people of Glitch call it, Proper Rice. 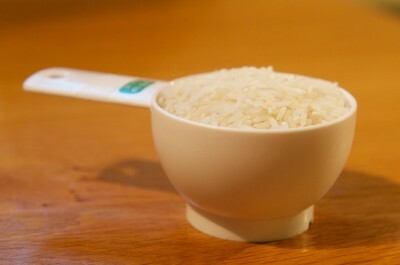 In the next post, we’ll take a look at how to make Proper Rice. This entry was posted in Crops, Produce and tagged rice by dopiaza. Bookmark the permalink.